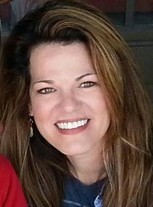 Barbara Small updated her profile. View. Barbara Small has a birthday today. Barbara Small changed her "Now" picture. Barbara Small added a photo to her profile gallery. A bit of an adrenaline junkie, I got to raise $3,000 for Special Olympics by rappelling down a 20+ story building. SO worth it! Barbara Small posted a message. Great to see you, Sherm! 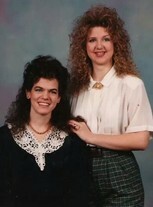 Is that a mulletizing perm-gone-wrong? We definitely had a way with AquaNet. These novel magazine covers are a hoot! Geekin' out with Google Glass. My pup Clara. Even though she's part Labrador, she needed a little extra confidence when she was learning to swim. Two of my three fur-babies, S-OX, and Sister. Marc Cohn and me "Walking in Memphis."